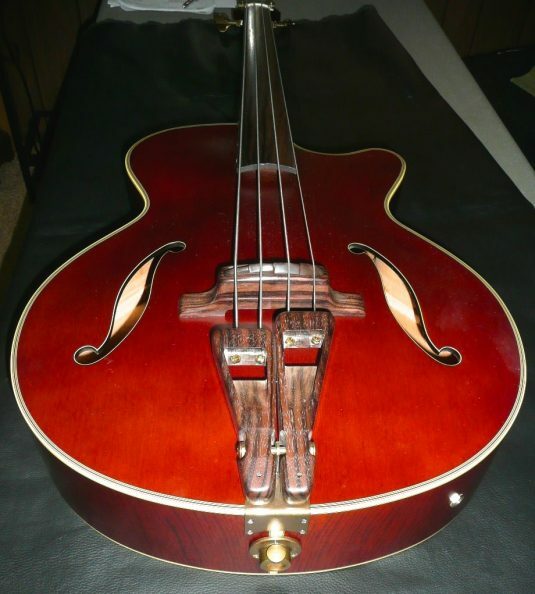 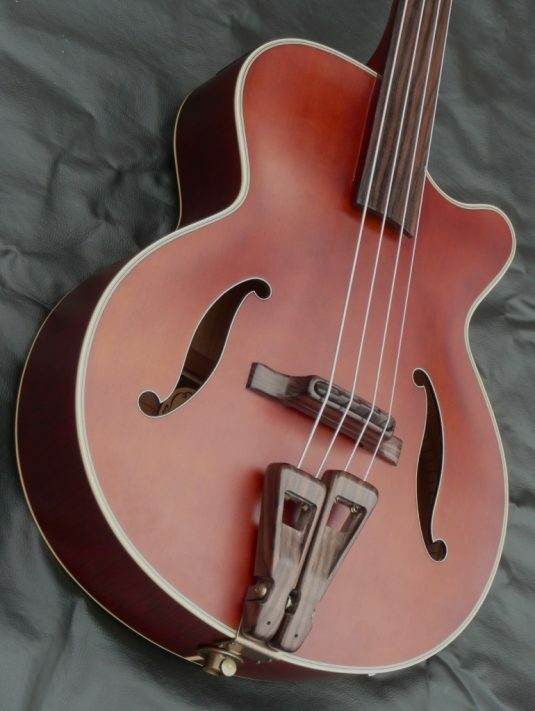 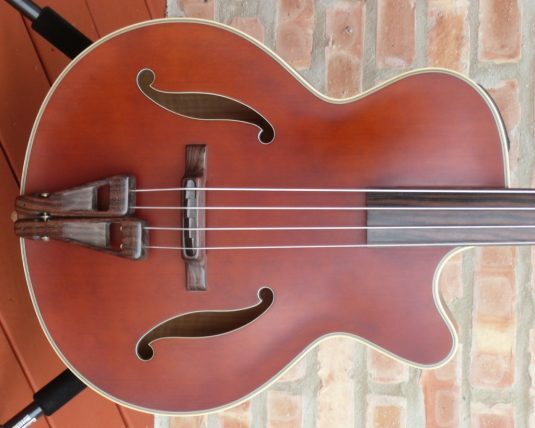 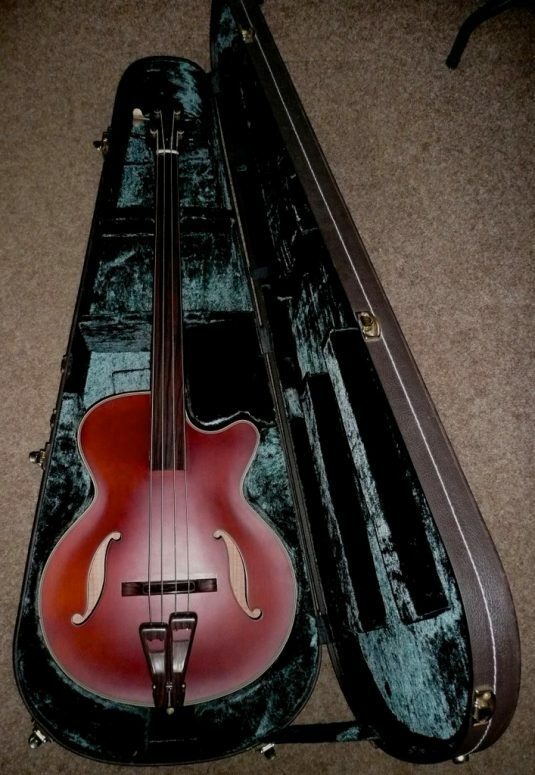 This is a remarkable instrument, the closest approximation of a true upright bass that I have ever heard. 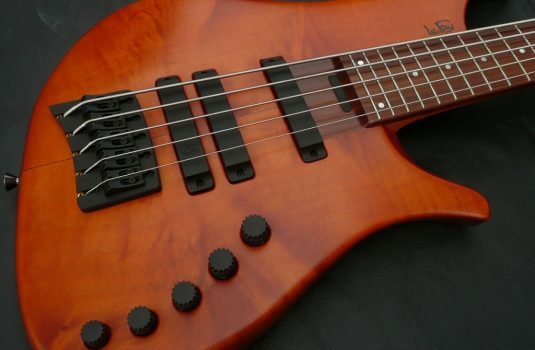 What is really cool is the there are 20 preset tones available , 10 factory and 10 user, each of which allows for bass , treble , reverb type and depth. 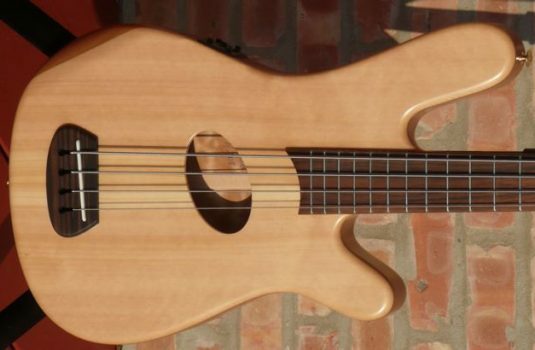 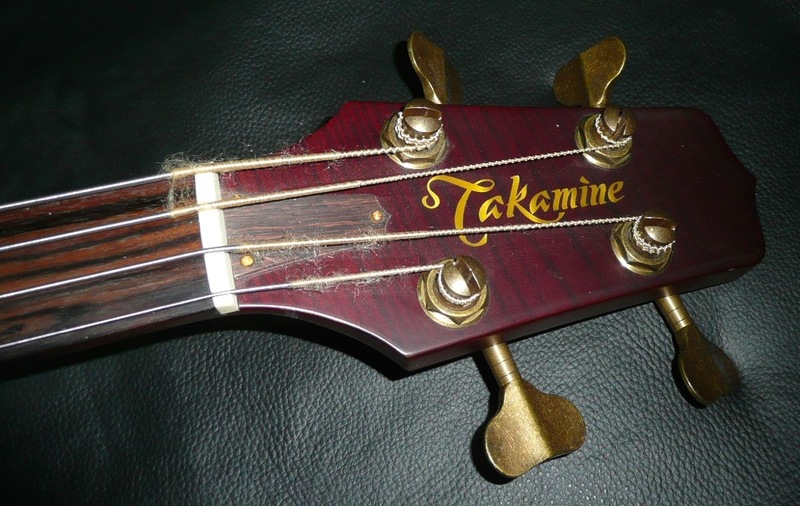 This bass is not a one tone pony. 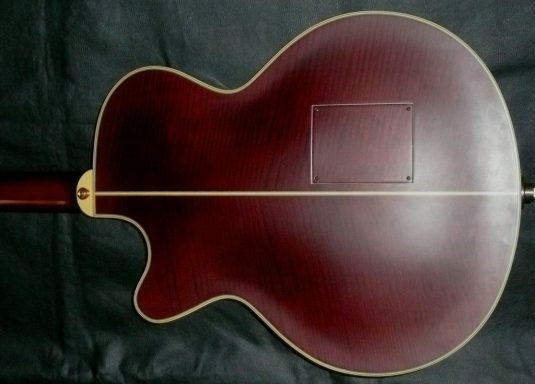 The build quality is extremely high , typical of the best of the Japan-based company’s custom shops. Brass end pin , detachable, for true “upright” playing. 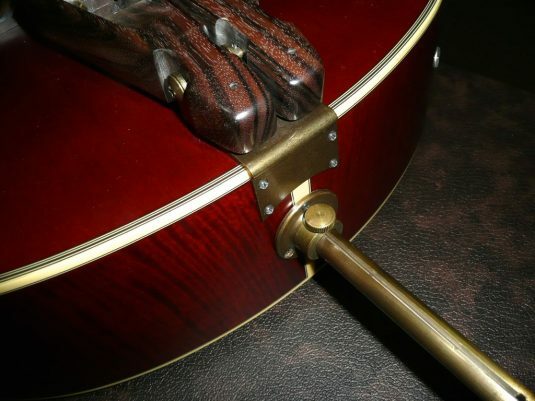 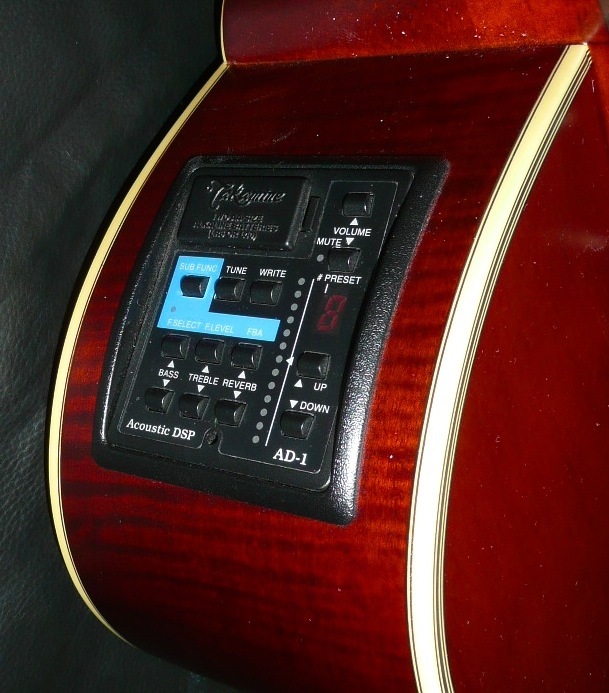 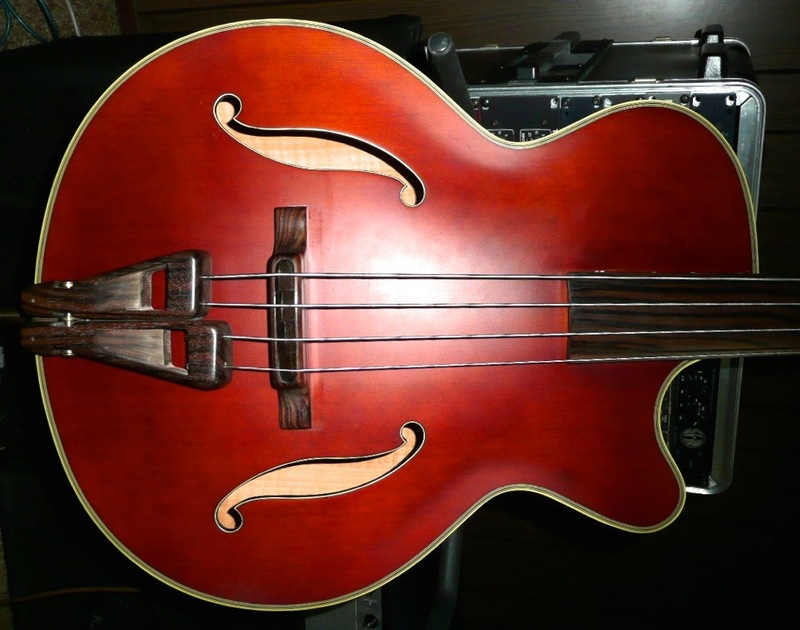 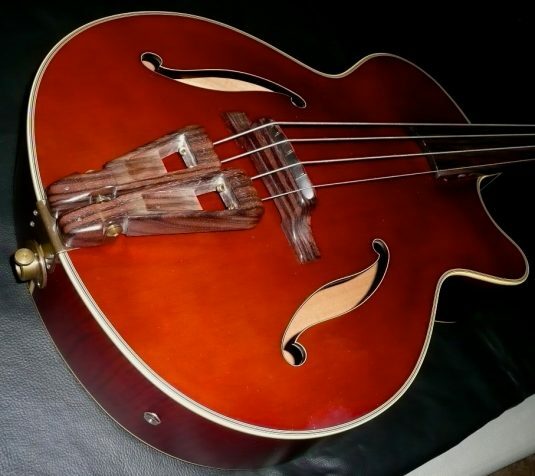 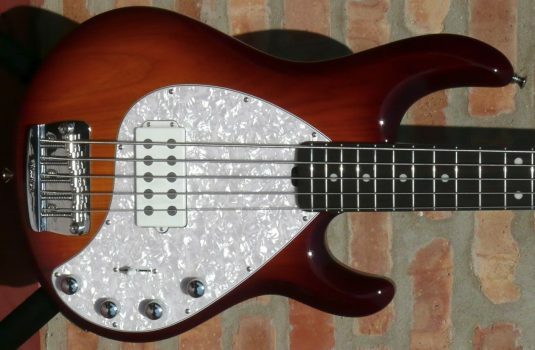 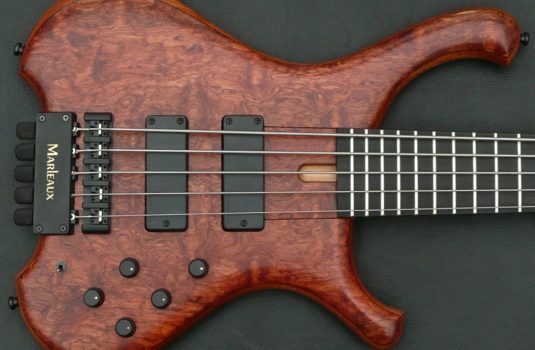 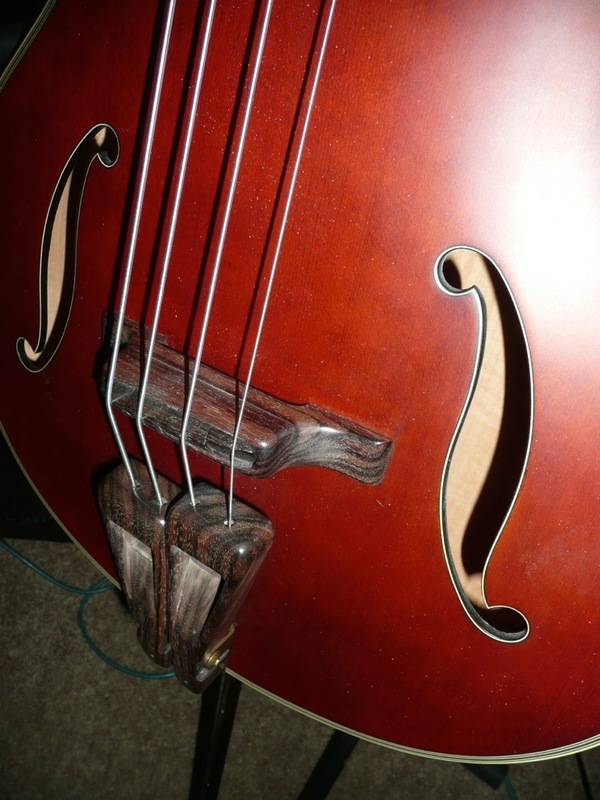 The bass has an antique vibe, via the tint and the the tarnished brass hardware. Check out that multi-ply binding – classy !